Animal hoods, to be specific. I've written about Merrimaking before, but have never really given them the spotlight they deserve. Animal hoods, hats and other accessories are big news at the moment. River Island have got a tiger hood/hat hybrid type thing for sale, as well as numerous bear hats and gloves. Topshop have got an owl hat, amongst others. Let me tell you one thing, Merrimaking do it better. Fact. 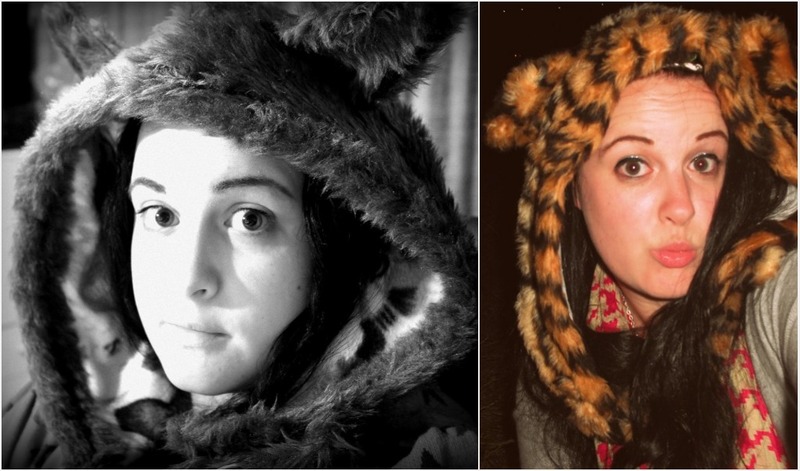 The business started in the summer of 2009 when, fresh out of university, Meg and Harri made 30 hoods and flogged them at Green Man Festival. And now? Well, in their words... "Merrimaking is existing as a design house dedicated to hand and custom-made pieces by independent designers." Hoods are the main order of the day, just a few of which can be seen below, but the website also stocks incredible capes (MAJOR WANT) and this amazing sweater with the longest sleeves I've ever seen. L-R: leopard, baby leopard, tiger, fox, lamb, wolf, custom (seriously, these girls can make you any animal you like) and bear. You can either buy them unlined and raw or, for a few extra pounds, request a lining of your choice from the selection available. I own three. Yes, three. I have a serious hood addiction. I love the first two, really I do. But they've been completely blown out of the water by the third addition to my hood menagerie, which arrived today.... THE EWOK!!! Oh look at my ewok impression. What am I please. 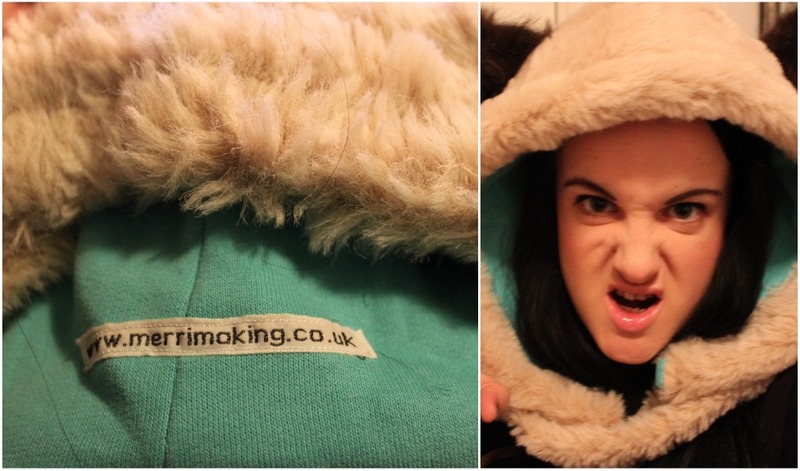 Seriously though, Merrimaking are such a lovely little company and they deserve all the success in the world. And, before you ask, I'm not being paid to write this and I've paid for all my hoods with my hard earned pennies. So there. There's a permanent link to Merrimaking over in the left hand sidebar and I implore you to use it. 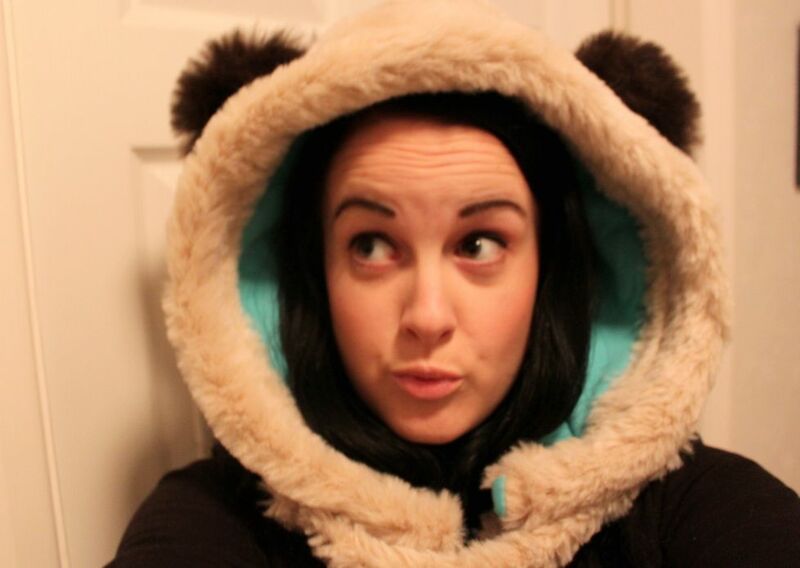 Animal hoods will make your life better and more enjoyable. Fact.